Many people suffer from hair loss. It is something that affects our confidence. But there is natural ways to deal with it. But realize that it can be caused by problems like stress, lack of sleep, smoking, menopause. If you realize that you suddenly start to experience hair loss. First thing you should do is examine your life style. That may be the cause. Iron proteins and and omega-3 has been named as a possible cause for hair loss. 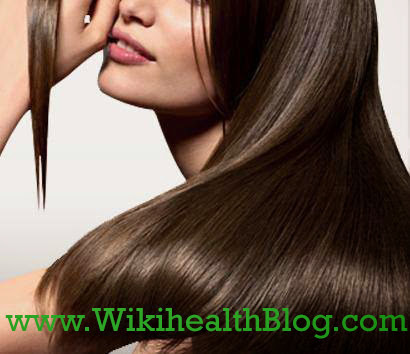 Vitamins and also minerals are needed for healthy hair and a healthy scalp. Consider your diet. Make sure to get enough proteins. It is advised to or thee portions of protein. Two to four servings of fruit daily. Fish is rich in omega three. Or another alternative is eggs nuts and seeds. Foods that is good for healthy hair. Fish like sardines, salmon, mackerel and trout. All if these provide protein as well as vitamin D. Also is rich in omega 3. Pumpkin seeds, walnuts and avocado. Also these foods is rich in omega 3 ans zinc. Lack of zinc in your diet may cause hair loss. Sweet potatoes and carrots. These foods contain vitamin A.Vitamin A is crucial in healthy scalp maintenance. Leafy greens and spinach. These foods is an excellent source of iron. If you drink or smoke. Consider how it affects the health of your hair. If you do take drugs that is part of prescription medicine. See if it is a side effect that is causing the hair loss. Or consult your doctor. This is a recipe that can help with hair loss. It is a natural home made recipe. A hair treatment that may help with regrowth of hair. Rub the licorice into a glass, fill it halfway with water. Now make a paste with the burdock and dandelion root . Mix the paste and the licorice water, apply it to your head. Leave the paste on your scalp for whole day. Don't wash your head until its necessary. But please don't leave it on overnight. But above all. Consider your life style. It may need some changes that your hair will be thankful for.